Harvestworks’ New Works Residency Deadline is May 1! The application process is an online application process. The New Works Residency Program offers commissions of up to $4000 to make a new work in Harvestworks’ state of the art digital media facility. The artist works with a project manager, engineer and programmer (if required). New works may include multiple channel audio or video installations, interactive performance systems, data visualization or projects involving hardware hacking, circuit bending or custom built interfaces, as well as projects that use the web. Emerging artists and artists of color are encouraged to apply. Residencies run from July 1, 2011 – June 30, 2012. 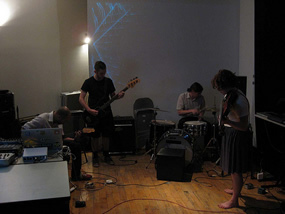 For information about classes and events, check out the main website at http://harvestworks.org. You can sign up for classes through their PayPal store; you’ll find all classes listed on their front page. If you have questions call Hans Tammen at 212-431-1130 ext 2. Membership is $75/yr, and you can pay for the membership when you sign up for the class.